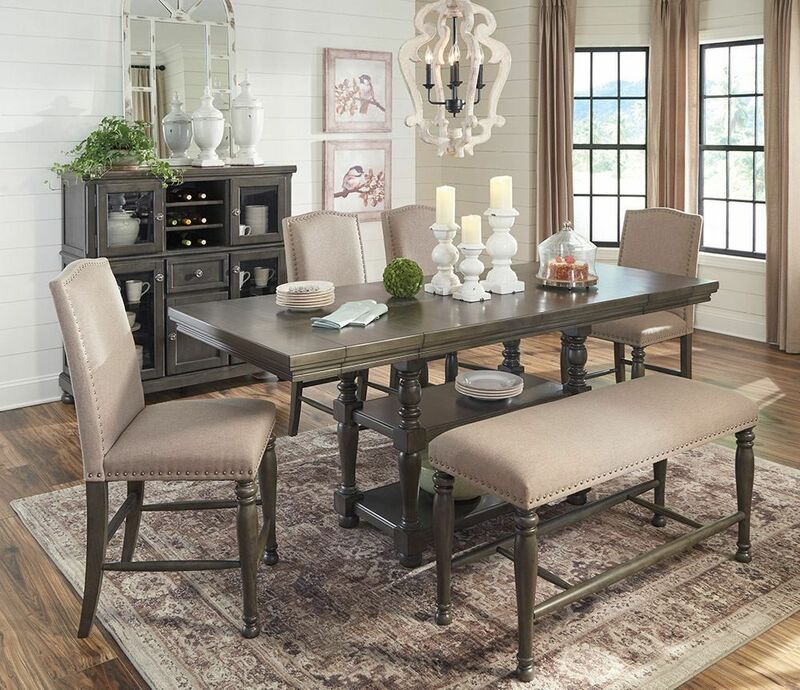 The Audberry Counter Double Upholstered Bench provides lovely traditional style to any dining room space, allowing you to dine in class and style. 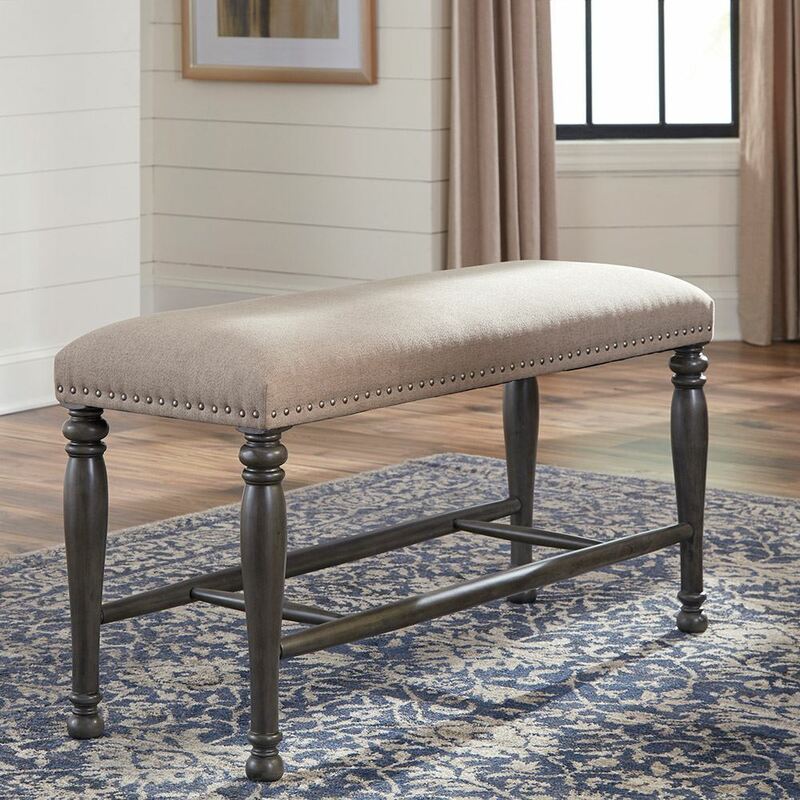 The base of this bench is constructed with beautifully blended woods and bathed in a peppercorn finish that enhances and beautifies the grain. 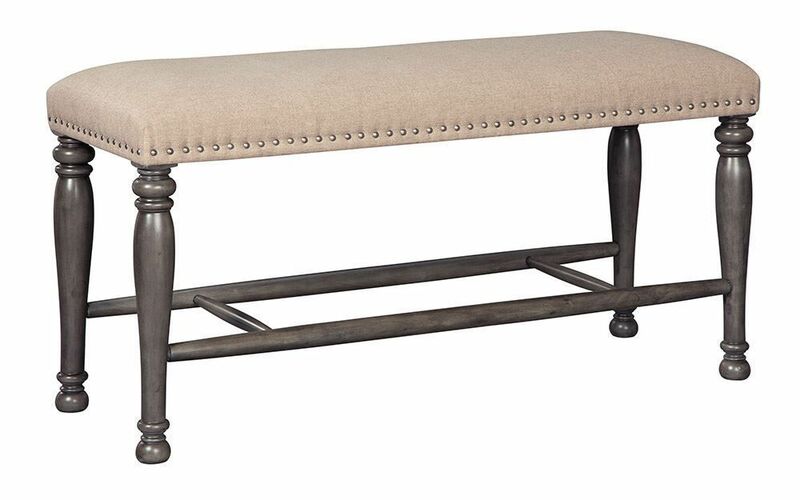 The seat cushion's dark cream color fabric is so versatile and classy, perfectly accented by stunning nail head trim. 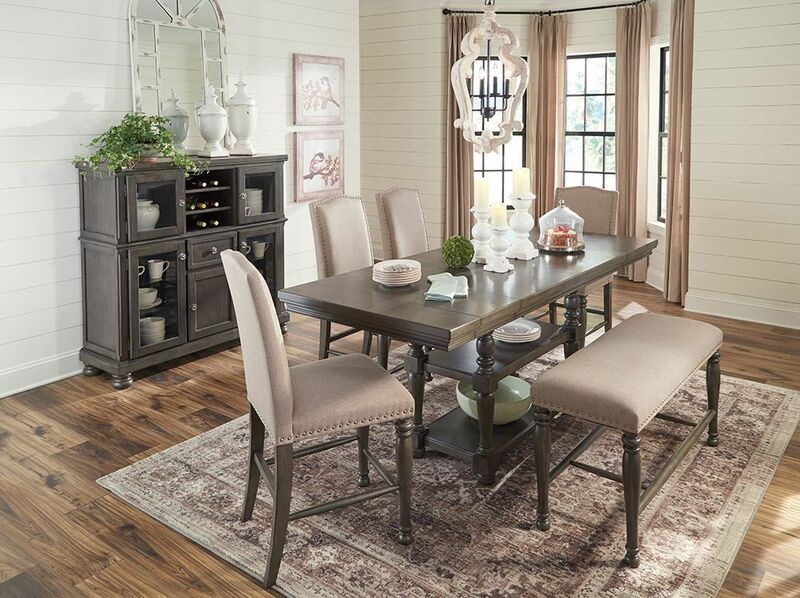 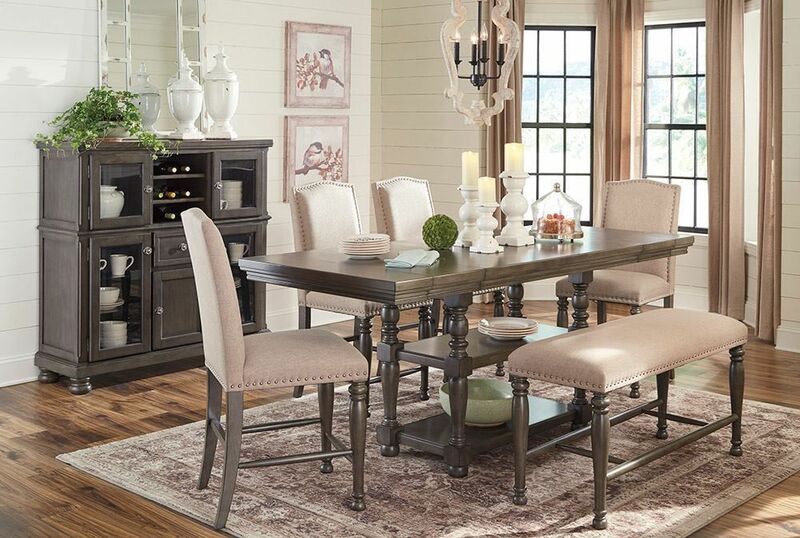 The Audberry Counter Double Upholstered Bench provides lovely traditional style to any dining room space.